Meet the versatile French virtuoso who brings colourful life to the maverick westerns of movie-maker Alejandro Jodorowsky, the intrigues of novelist Jerome Charyn and his own delirious fantasies. 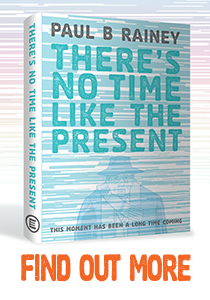 In his award-winning graphic novel written by Jerome Charyn, The Magician’s Wife, a detective as dapper as Hercule Poirot observes: “People aren’t really like the image they try to project… they ignore their own mystery.” People, and things, are frequently not what they seem in the unnervingly skewed observations of the phenomenal comics creator François Boucq. Boucq’s debut comedy skits, all black-and-white strips written by others, got him noticed and his first album collection in 1981. This led in 1983 to the French literary bande dessinée monthly A Suivre asking him to write short stories of his own in colour. 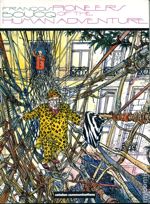 To free himself from recurring characters and formulas, Boucq set himself the challenge of starting each yarn afresh and pursuing a different odd situation to its most absurd conclusion. 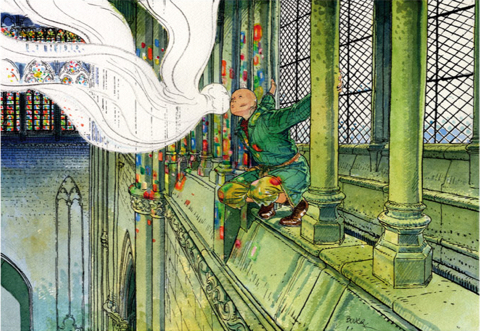 In his artwork, he overlaid gloriously vibrant washes of coloured inks to heighten the vivid details of his pen-and-ink line drawings and to instil each tale with a different narrative atmosphere. 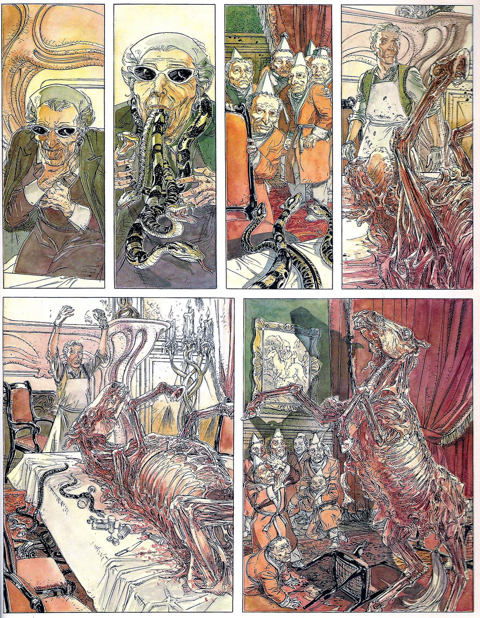 His taste for the grotesque and the philosophical resulted in some unforgettable scenarios worthy of Monty Python. A mama’s boy hooked on war stories is taken hostage in his home by enemy troops after those ‘little cups of yogurt with real fruit at the bottom’, only to be rescued by his machine gun-toting mother. For a devout nun, the aisles of a supermarket turn into a gauntlet of temptations fought over between her angelic and devilish sides. Boucq also sends up the wildlife documentary in several examples, from the bizarre egg-laying habits of turtles on crowded beaches to the nocturnal activities of construction machinery building a Metro station on the Savannah. These and other shorts have were compiled into several French collections, one of which came out in English in 1989 as Pioneers Of The Human Adventure from Catalan Communications, 1989). A number also appeared in English in Heavy Metal magazine. Out of these one-offs emerged Boucq’s single continuing character, the small but heroic door-to-door insurance salesman Jérôme Moucherot. For him, life is truly a jungle out there. The journey to work is bad enough, dodging pterodactyls, crocodiles and cannibal punks. Somehow he battles through the day, sporting his leopard-spotted yellow suit, hat and tie, his zebra-striped briefcase and a fountain pen through his nose. 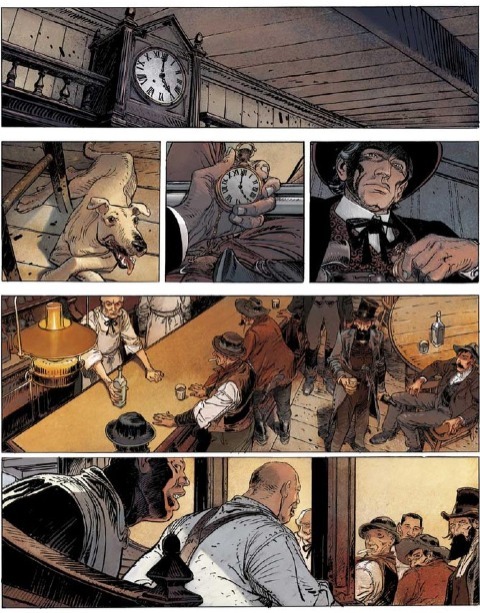 Amidst all this activity, Boucq stretched himself still further in A Suivre by collaborating on his first full-length graphic novel and developing for it a more serious and realistic style. The writer was new to the medium. Jerome Charyn, son of Jewish emigrés from Russia and Poland, was born and raised in the Bronx. He had learnt to read from Carl Barks’s Donald Duck and C.C. Beck’s Captain Marvel and discovered literature through Classics Illustrated. Charyn grew up to be an English professor and writer of unconventional crime novels and surreal urban fables. 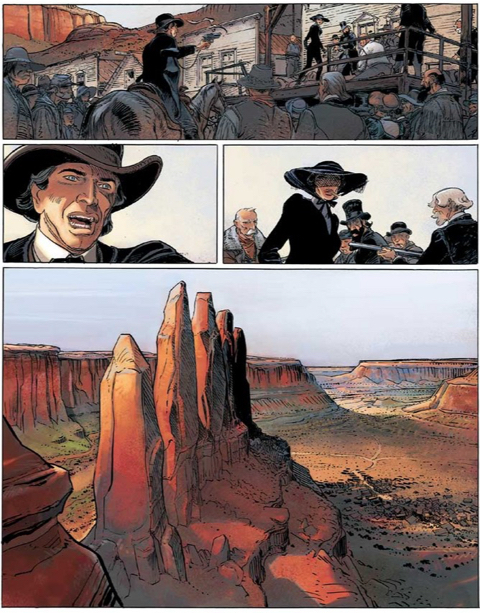 His passion for comics was revived in Paris by his discovery of adult band dessinée albums. 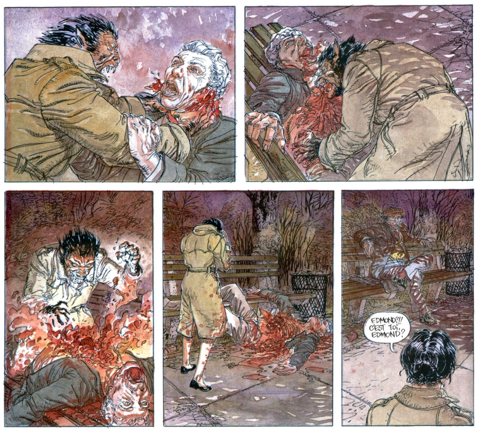 For his first try at writing one, Charyn re-worked an abandoned novel, which Boucq then reinterpreted into comics. The result was the unsettling love story The Magician’s Wife (Casterman,1984). Edmund, an ambitious young illusionist, as white-haired and pink-eyed as the rabbits in his hat, has had his eye on Rita since she was a girl. Edmund begins by seducing Rita’s mother, the housekeeper, into running off with him and her daughter and forming his magic act. But all the while he is also manipulating Rita into taking her ageing mother’s place on stage as well as becoming his young bride. What Edmund has not reckoned with is his mind games sparking Rita’s rage and unleashing the werewolf within her. She flees and tries to lose herself in New York, but she cannot escape her curse or being haunted by Edmund. Boucq’s new realism is stunningly convincing, shifting from sprawling mansions and seedy tenements to shimmering dreamscapes and a surreal showdown. Rita returns to find Edmund enslaved, but her kiss rekindles his powers. Together they can make magic. Following rave reviews, this strange, hypnotic book scooped the prize in 1986 for the best French-language graphic novel at the Angoulême International Comics Festival, the largest comics event in the world, not counting Asia. If you’ve not discovered this gem, out of print for nearly thirty years, Dover Books re-released it last year. The two of them followed this up with Billy Budd, KGB (Casterman, 1989), about a Ukrainian orphan with a harelip who is recruited into the Russian secret service. Given corrective surgery and a forged passport, Budd has to assume a double life in New York. In public, he’s a construction worker on skyscrapers; in secret, he’s an undercover agent prized for his nightmare premonitions. When he saves the life of a Native American co-worker, he builds a bond with the man’s chief, who introduces Budd to a different path from Communism or the American dream. But can Budd escape his masters? The result weaves together a Cold War psycho-thriller with one man’s quest for spiritual truth. Dover will reprint this as well next year. 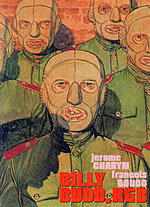 After these and an one-off illustrated travelogue of New York, Charyn and Boucq went their own ways. Theirs had not been the smoothest of writer-artist partnerships, but their respect was always mutual and their exchanges courteous, even if it’s typically Boucq who gets the last world. That’s because, rather than sticking to a “closed” final script, he prefers a more open story which he can develop and elaborate. 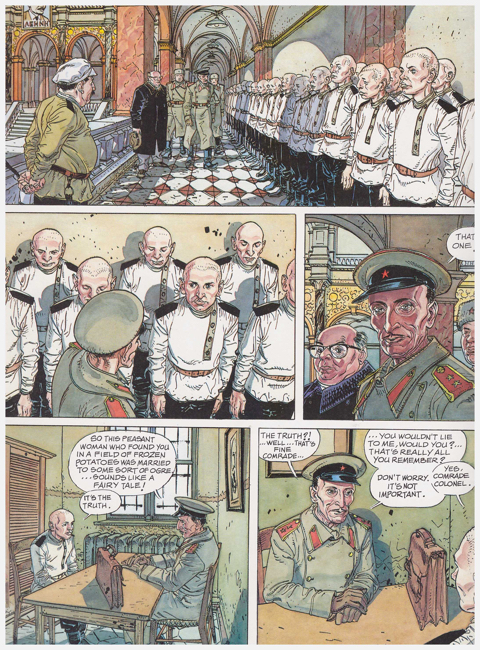 In 2014, after twenty-five years, they joined forces again on a new graphic novel, after Boucq discovered the published sketchbooks of a Russian guard, Danzig Baldaev, whose naive but meticulous drawings captured the unseen world of Siberian prison camps, most famously written about by Aleksandr Solzhenitsyn. 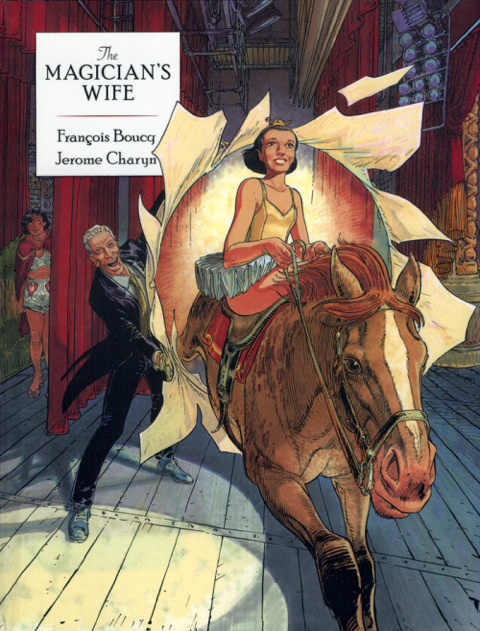 Boucq’s suggestion soon convinced Charyn - after all his family background is Russian, so this tale was in his blood. 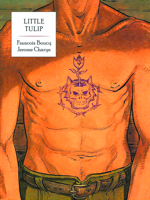 The title Little Tulip is the nickname of Paul, a brilliant Russian tattoo artist who grew up in Stalin’s goulags and around their mafia gangs. Escaping to the Big Apple, Paul becomes famous for his tattoos and for his incredible faithful identity portraits of wanted criminals which so far have always helped the police to arrest them. But one mysterious serial killer evades Paul’s gifts and the unfolding case soon brings back ghosts from Paul’s Soviet past. Boucq deliberately chose “to make the characters in Little Tulip resemble those in our two previous albums. I wanted to make links, because even with so many years apart, they form a whole. They are a trilogy.” To complete this, Little Tulip is being released in English from Dover in November 2016. Meanwhile, starting in 1991 Boucq had taken to collaborating closely with Chilean-born film-maker Alejandro Jodorowsky, famed for his weird Westerns El Topo and Santa Sangre. They began with an eventual five-volume series concluded in 2004 of mystical science fiction, featuring Face de Lune (above), a seemingly invincible, moon-faced mute messiah of the future, who tries to help the sheep-like masses against a despotic politico-religious government. In the first episode, one loveless family’s greed for a diamond drives a mother to suicide, her three sons against each other, and one young grandson to swear vengeance for his parents’ slaughter. The third brother, now a one-armed bouncer, undertakes to train the boy to kill, in return for being his right arm. Jodorowsky is in his element again and whether in widescreen landscapes or saloon shootouts, Boucq’s art has never looked so gritty and visceral. Over the course of nine albums so far, their twisted Western gets darker still. 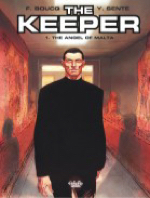 Boucq’s prolific output also includes the slick thriller series The Keeper written by Yves Sente since 2007 (the first volume is available digitally from Europe Comics), and one instalment of the XIII Mystery sequels with Didier Alcante. His newest collaboration brings him back to his satirical roots, reviving Superdupont, that most French of superhero parodies in his beret, underwear and slippers, with Marcel Gotlib, who created him with Jacques Lob and the artist Alexis in 1972 in Pilote magazine. Notoriously, one episode was drawn by American superstar Neal Adams. 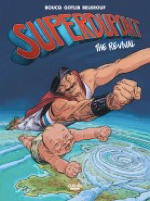 Superdupont: The Revival was released in 2015 by Dargaud appropriately on September 11th and this year in a digital English translation from Europe Comics. 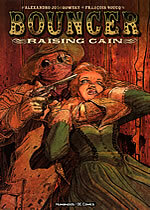 Hollywood has come calling, though neither of Bouncer’s co-creators have been consulted by those involved in bringing their western to the big screen. The director will be Floria Sigismondi, creator of numerous videos for David Bowie, Sigur Ros, Jack White, Marilyn Manson and others, casting is underway and shooting should get started in 2016. 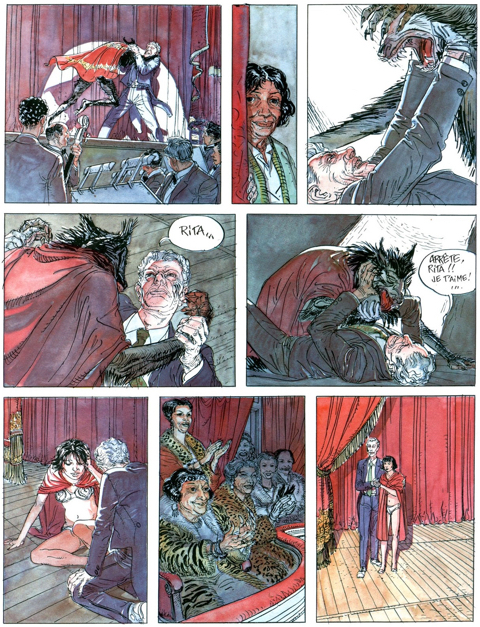 But why wait, when you can already enjoy the best movie Jodorowsky never made, ravishingly realised by Boucq, on the pages of their unmissable Bouncer graphic novels. The Article originally appeared in Comic Heroes Magazine No. 25, 2015.